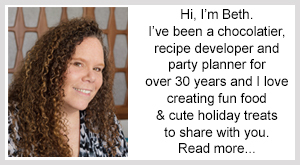 April 11, 2014 By This post may contain affiliate links. Not much is better than eating all the delicious food on Easter! 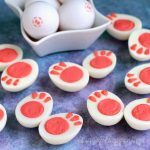 I am so excited to give you A fun Easter Brunch Idea that will turn your family get together into a festive one! These Hash Brown Fritter Easter Eggs are a delicious side to compliment all of your other amazing dishes! 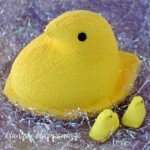 I have such wonderful memories of Easters together with my family, but really miss the kids being young. 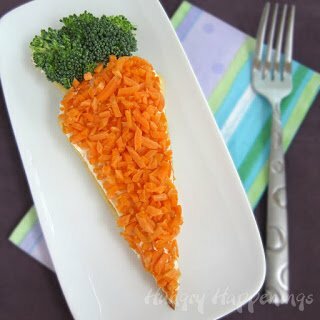 Gone are the days of coloring and hunting for Easter eggs, painting chocolate bunnies together, and being silly and fun.I figure just because the kids are grown, doesn’t mean I can’t add a touch of whimsy to our Easter brunch. 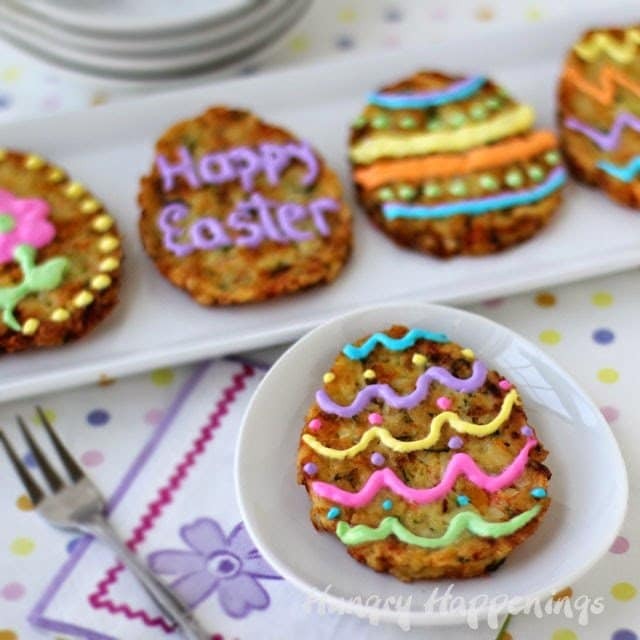 Everyone in my family expects it from me these days, so they wont be surprised that I turned some Ore-Ida Shredded Hash Brown Potatoes, into these colorfully festive Hash Brown Potato Fritter Easter Eggs. 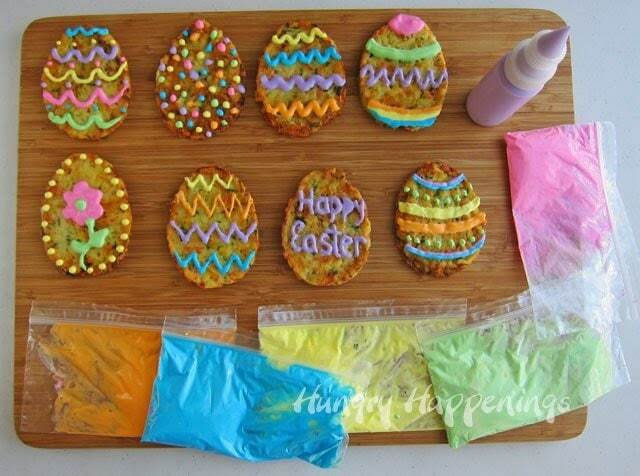 They might, however, be surprised when I have them decorate the potato fritter eggs themselves. 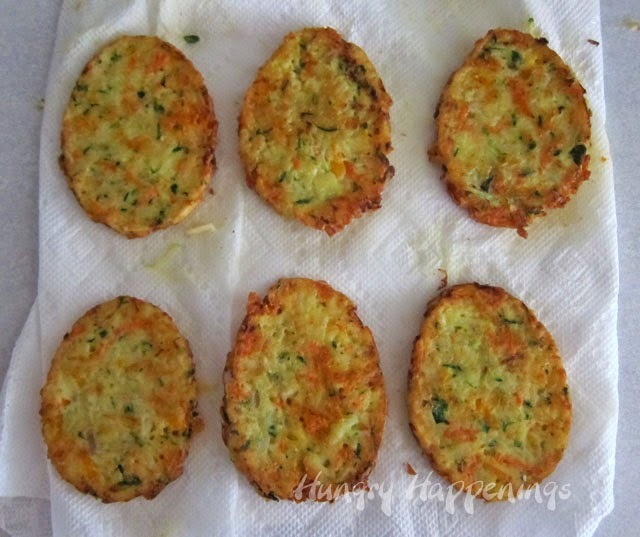 My plan is to make the fritters the day before Easter, re-heat them just before we sit down to brunch, and have squeeze bottles filled with colored sour cream on the table. Except for a few of the fuddy duds in my family, we have quite a creative bunch, so I’m hoping they enjoy decorating a different kind of Easter egg this year. 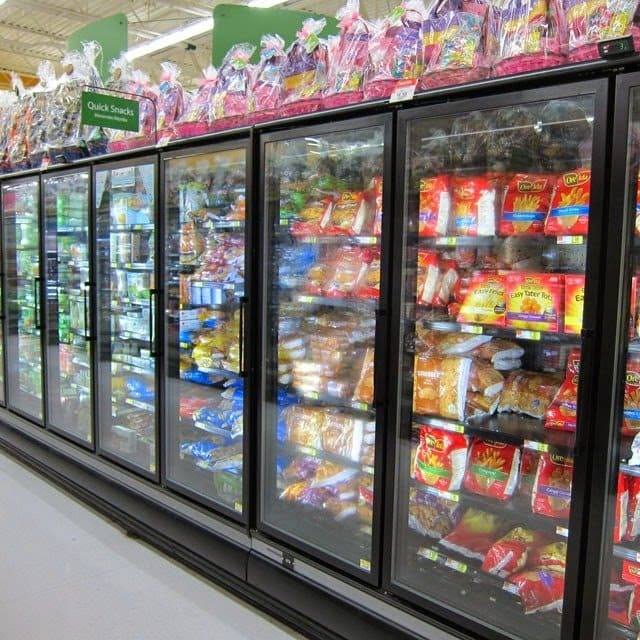 I loved that when I went to buy my bag of Ore-Ida Shredded Hash Brown Potatoes at Walmart, the top of the freezer case was lined with Easter Baskets. 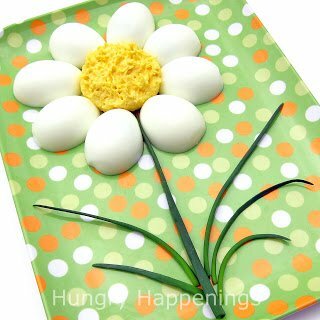 My eggs may not make their way into any baskets, but they definitely will brighten up our table this Easter. 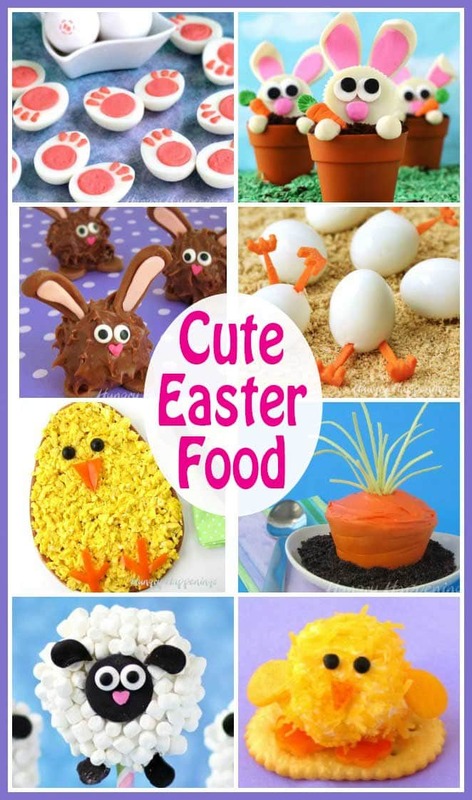 Are you planning to make anything festive for Easter? Be sure to snap some pictures and send them to me so I can share them in my Readers’ Gallery. *Any size egg cookie cutter will work. 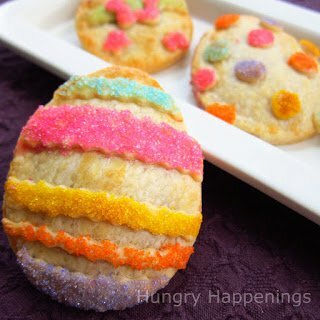 I used a 3 x 3 3/4 inch cutter and made 10 Hash Brown Fritter Easter Eggs out of one recipe. They were large enough to be a single serving. Color small amount of sour cream with bright Easter colors. Put colored sour cream in squeeze bottles or zip top bags and refrigerate until needed. 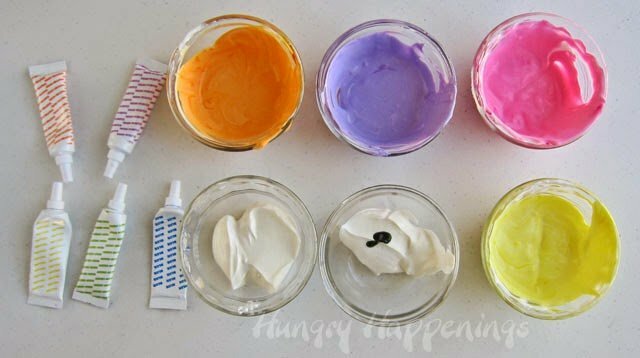 Don’t use liquid food coloring as it will make the sour cream too runny. Be sure to use gel, powder, or paste coloring. 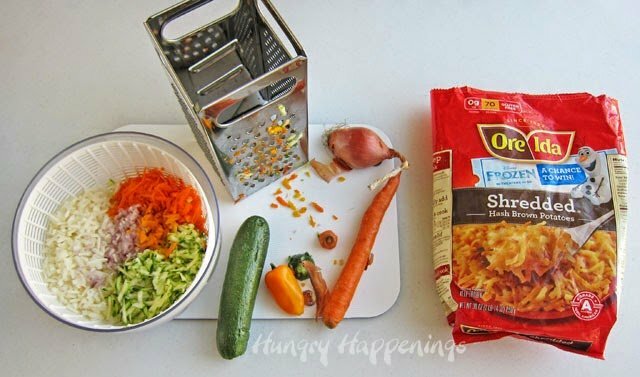 Toss together Ore-Ida Shredded Hash Brown Potatoes with the shredded zucchini, carrot, yellow pepper, shallot and salt. 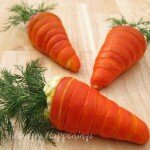 Allow it to sit at room temperature for 15 minutes. Some of the liquid will begin to drain off the vegetables. If using a salad spinner, spin the vegetables to remove the excess liquid. 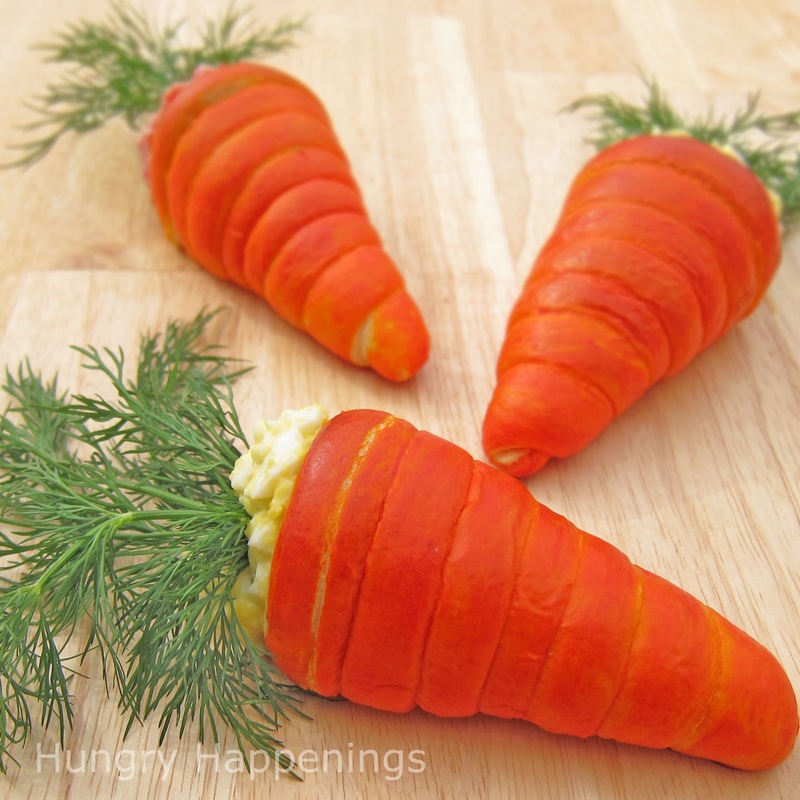 If not, pour them onto paper towels and squeeze the liquid out of the vegetables. I actually did both steps just to be sure I had all the liquid removed. Stir in the flour, eggs, and cheese. Heat oil in non-stick fry pan until it reaches about 350 degrees Fahrenheit. Spray your egg shaped cookie cutter well with cooking spray. Set it on top of your spatula. Spoon some of the fritter batter into the cutter, press it down into a 1/4 inch thick layer. 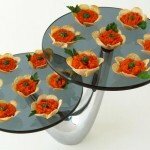 The amount you use will depend on the size of your cutter. I used about 2 tablespoons for mine. Pick up your spatula, bring it to the pan, use tongs to slide the cookie cutter and batter into the hot oil. Be careful you don’t touch the oil. After the fritter begins to brown on the bottom, lift the cookie cutter off using tongs. You may need to press around the edges with spoon or knife to get it to lift off. Sometimes they stick. When the bottoms are nicely browned, flip them over. Fry until cooked through and golden brown. I suggest you clean the cutter in between each fritter and re-spray it with more cooking spray. Then the fritters should slide right out of the cutter. Drain on a paper towel. You can serve these right away, or refrigerate for a day or two then re-heat in a 350 degree oven for 8-10 minutes before serving. 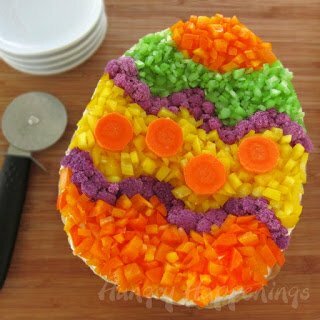 Use the colored sour cream to decorate your Hash Brown Fritter Easter Eggs. I loved using the squeeze bottle, but the zip top bags worked well too. 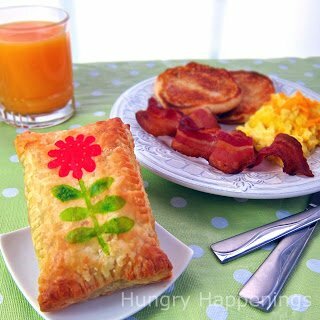 If you are going to serve these for Easter brunch and have the kids decorate them at the table, I suggest using the bottles. 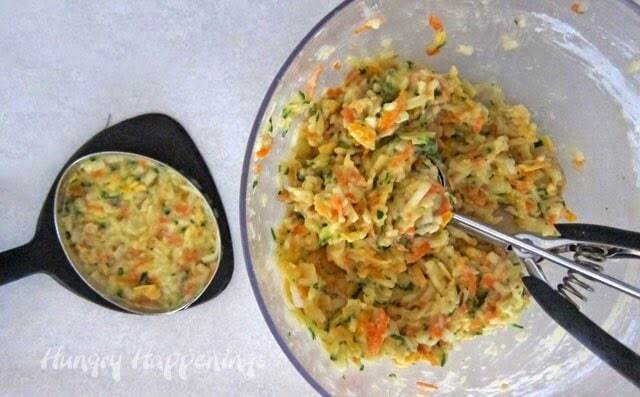 It’s neater and little hands will have an easy time with the small round bottles.I was compensated for creating this recipe post using Ore-Ida Shredded Hash Brown Potatoes that I purchased at Walmart, but all opinions here are my own. Thanks, Lisa. This was a really fun project to make. This is GENIUS! I love how you colored the sour cream! 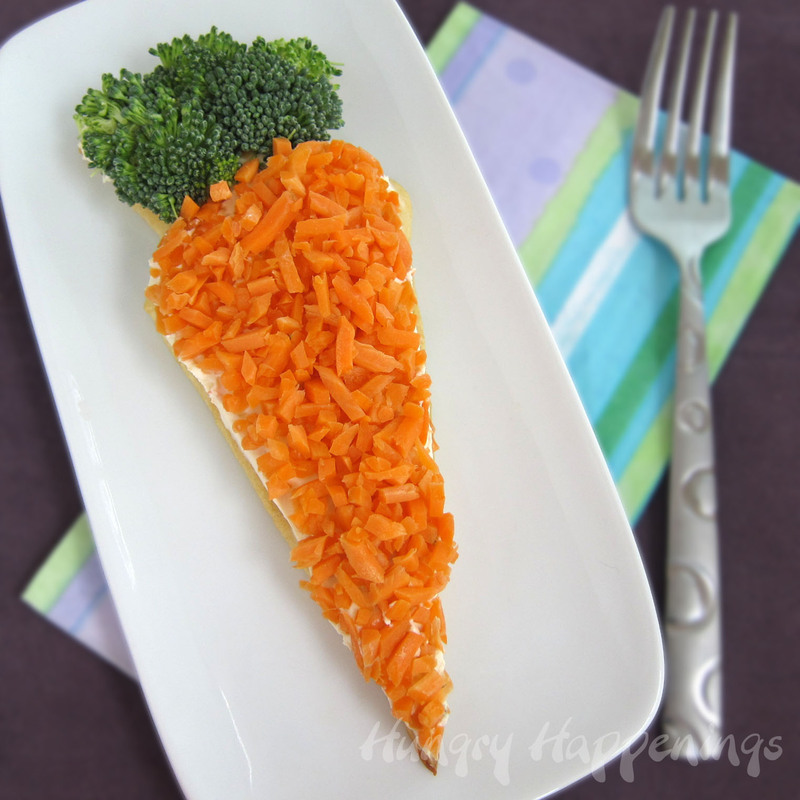 What a clever idea to decorate hash browns with colored sour cream for Easter! This would be so fun for a festive brunch. Pinning! Thanks, Carrie. 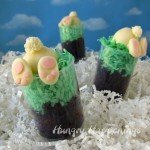 I love adding a touch of whimsy to my Easter meal. Thanks, Alicia. I agree. 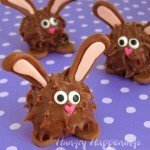 I think kids will have a blast making these for Easter.